USRPT stands for “Ultra Short Race Pace Training”. The premise for this training methodology is that race-specific high intensity swimming will yield the optimal performance results and fastest times in competition. You can read more about Ultra Short Race Pace Training in our post: What is USRPT? Training shorter workouts allows you to mentally and physically engage with the workout in a new way. The volume you do is not as important as the content of the workout. Don’t worry about banging out yards. Swim with more intensity. You can read more about the different training zones used in swimming here. See Also: What Is Ultra Short Race Pace Training? USRPT is about doing the absolute minimum possible that will take away from performing on the main set. A shorter warmup and relatively light pre-set allows for this. ‘GOLF‘ is the method of counting the number of strokes you take in a length plus the time. If you do 25 meters in 16 seconds and it takes you 12 strokes, you’ll have a score of 28. Like traditional golf, the goal is to decrease this number. This is a good way to warmup with intensity while working on stroke count. This main set goes two rounds. If your goal time is to go 1:00 for a 100m freestyle in competition, you’ll need to average 15 seconds per 25. That’s your goal time. The interval should be calculated on a 1:1 work:rest ratio. Because the goal time is 15 seconds per 25, there should also be 15 seconds of rest per 25; therefore the ideal interval will be the :30. If you fail to make your target time, you should sit out one repetition then jump back in on the next interval. If you fail a second time, the set is over and you should start your recovery swim. If don’t fail and complete the entire set hitting your target time on all repetitions, then the set was too easy – next time decrease your target time and/or decrease the amount of rest between repetitions. It’s important to let your body recover and cool down after a physically fatiguing set. 100 is the minimum recommended to flush out lactic acid that was built up during the main set. If you need more, do it! 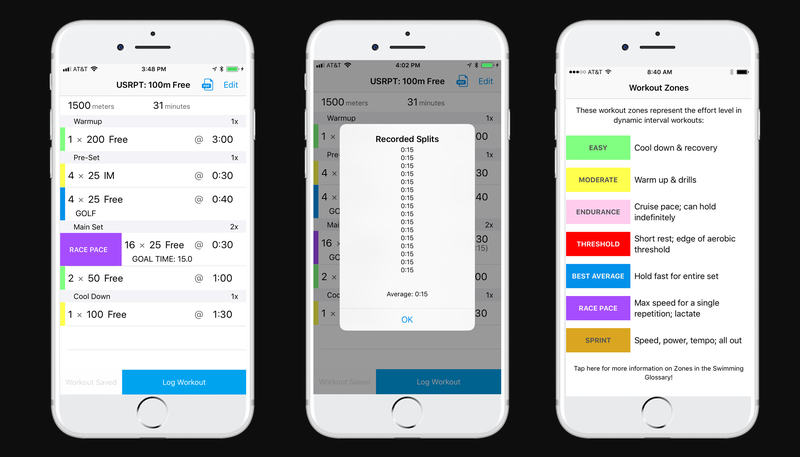 Do you offer USRPT workouts on this app? Yep, we do! You can unlock all of our workouts with a Premium membership. 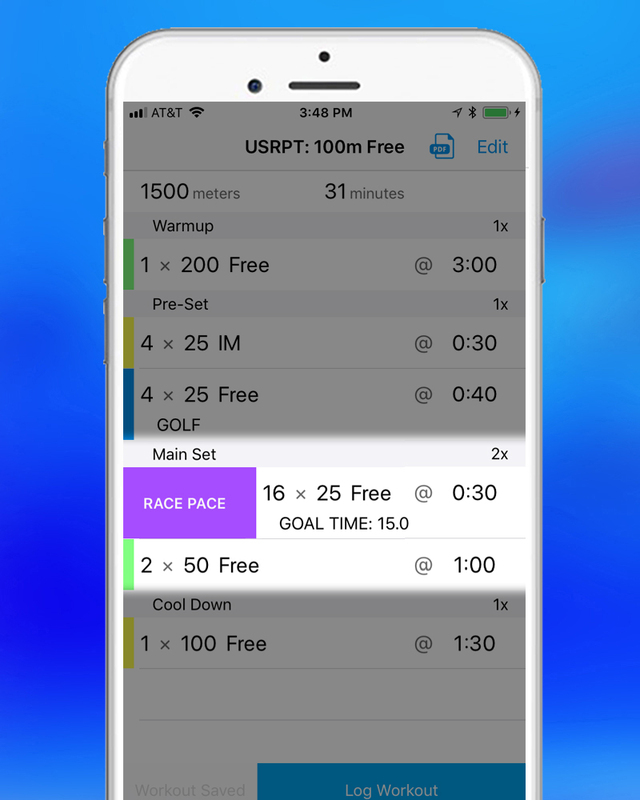 Try it for free for 7 days at http://www.myswimpro.com/premium. Thanks! Do you have a monthly billing plan? Do you offer a 12 week usrpt program? Unfortunately no, not at this time. Sorry!